It's that time of year when thoughts turn to exotic trips to foreign lands. Forget the drudgery of the ride into work, the hours spent in queues on the M25, or the tedium of sitting behind a cavalcade of caravans on a busy and twisting A-road. But wherever you decide to go, however long you intend to be on the road, riding in the right gear will make your adventure so much more enjoyable and, we hope, memorable. 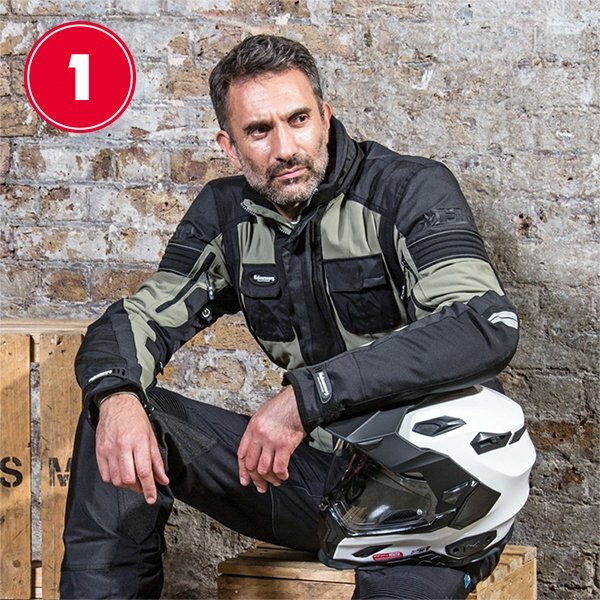 Here at Motolegends, we have suits for just about every kind of trip, whatever the terrain and whatever the weather. If you like to tour in leather, then you should take a look at Halvarssons' Tengil and Scott’s Tourance suit. For trips south where it's likely to get pretty hot, Rukka's 4Air, Halvarssons' Qurizo and Scott’s Concept suit will keep you feeling cool. Perhaps the rain is the challenge, and you feel that you need a laminated outfit. In which case, it's got to be a Rukka suit like the Nivala, or Stadler's 4 All Pro. For a suit that will cope with all conditions with equal aplomb, the Halvarssons Prime and Prince combination cannot be beaten. Furygan's Titan Evo and Duke pant offer a very credible alternative. But if you like to travel in style, then Belstaff's Crosby worn above a pair of Rokker Revolution jeans means that you'll arrive at your destination and never look ruffled. Anyway, here's our pick of the best touring outfits in more detail. In our humble opinion, for 95% of motorcyclists this is the world’s best motorcycle suit. With its lightweight outer fabric and drop-liner membrane, no suit is more comfortable. Its Outlast liner makes it incredibly cosy in wintry conditions. The Dryway Plus membrane keeps the rain out, whilst the generous vents mean that it can be worn right through the summer too. Halvassons is a thoughtful company. Everything has been properly considered. The suit is highly protective, but comfort is what the Prime and Prince are all about. In all conditions, this is a suit that you’ll feel at home in. The Nivala, we are convinced, is the best, most flexible and wearable Rukka suit ever. It’s waterproofing comes from its laminated Gore-Tex Pro Shell outer. With stretch woven into the outer fabric, it’s by far the most comfortable Rukka suit of all time. Venting is not normally a Rukka strongpoint, but the Nivala is the exception. For warmth, the Nivala has a separately worn, duck-down, duvet-style inner jacket. It takes little space when worn. But you only wear it when you need it, and when you do there’s no zipping or buttoning to be done. The Nivala is furiously expensive, but it does lay claim to being one of the world’s best riding suits. 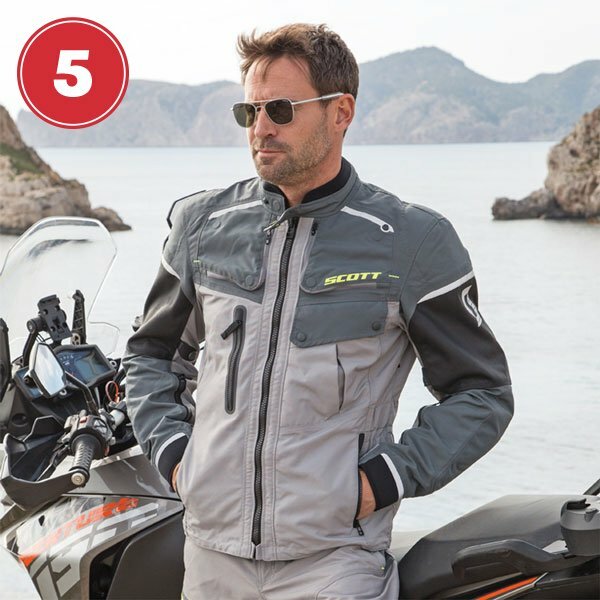 Stadler is Germany’s most prestigious motorcycle clothing maker. They supply the riding suits for 100% of the country’s Police forces. The 4All Pro is a Gore-Tex Pro-Shell garment, so it’s as waterproof as anything made. For protection you get swathes of Superfabric. For comfort, the suit is festooned with stretch panels. Venting is the Stadler’s strongpoint, especially with its 3D honeycomb internal air channels. The suit is perhaps not as well insulated as, say, the Nivala. But in warmer weather it will be much nicer to wear. The suit is light and easy to wear. Rukka gives a six year guarantee, Stadler a 10 year guarantee. Stadler can also repair crash damage. This suit is right up there with the very best, and uniquely we can offer 36 months 0% interest on it. The Atle jacket and Tengil trouser from Halvarssons were introduced earlier this year. Made from goatskin, with stretch inserts in those areas less susceptible to abrasion, this is an extremely comfortable combination. If you want to commute or tour in leather then this is a suit that you have to consider. There’s no thermal liner, so you will need to layer up if it’s cold. For wet weather, both halves have a full Dryway Pus waterproof and windproof lining. In really heavy rain, you might still want to wear a waterproof outer, but in most conditions this is going to be a very comfortable and protective way to travel. 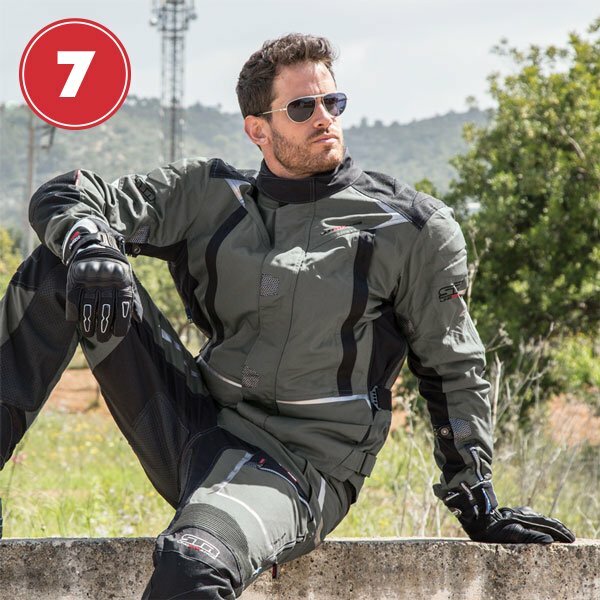 All waterproof motorcycle suits have one thing in common. It matters not whether the waterproofing comes from a drop liner or a laminated membrane; before the membrane can do its job the outer fabric of the suit has to be soaking wet. This makes the rider feel cold, especially at speed. The Scott Concept suit has no internal membrane. It is incredible well vented and light to wear. When it’s hot, there will be nothing better. When it rains, you simply wear the outer waterproof jacket and trousers that form the second part of the suit. It’s the perfect outfit for those who want to ride comfortably in every possible condition. As a touring outfit a Belstaff Crosby with a pair of Rokker Revolution pants is a bit left field. But it’s more than up to the job, and will bring more than a touch of style to any expedition. The Crosby is light in weight and long enough to prevent both drafts and the ingress of rain. With the right base layers, it can be made as warm as you want. And, of course, it's got a seam-sealed Miporex waterproof membrane. The Rokker Revolution pant is, of course, the perfect touring trouser. It’s light, so you ride all day in them, and still wear them to dinner. They’re abrasion resistant, but of course what makes them so special is their waterproofing. You can ride in these for three, four, five hours in the rain. You’ll never get wet. This is a combination that you could ride anywhere. The Qurizo and its matching Q-pant represent a somewhat specialist riding outfit. It’s been designed more for those who want to tour in warmer climes than for those who want to commute or head north for their adventures. The waterproof liner is removable. This inner delivers high levels of impermeability against the rain, but when it is removed, the garments are able to flow air freely. This is made particularly easy because both the top and bottom parts are endowed with huge zipped vents. 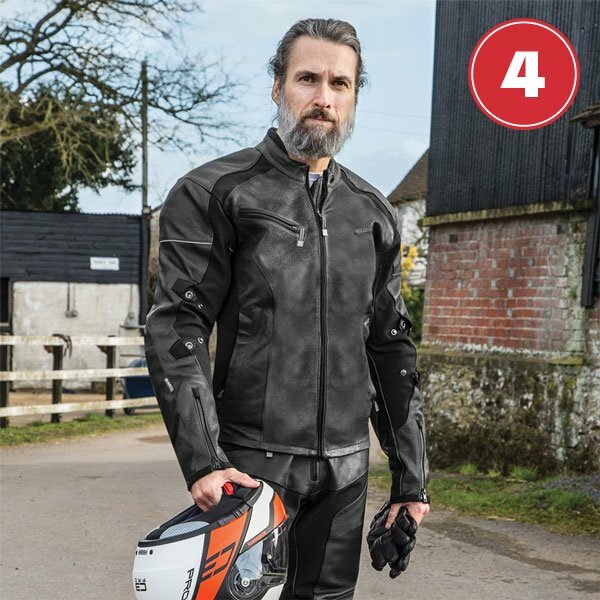 In essence the Rukka 4Air is a mesh riding suit, but it’s unlike any other mesh suit out there. Made from Dupont's AFT Cordura, the outer fabric is strong and abrasion resistant, but it flows air like a traditional mesh jacket. 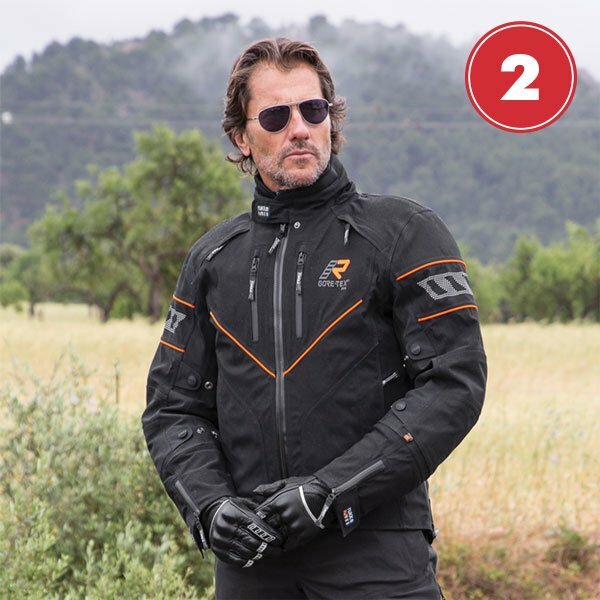 The 4Air comes with a zip-in Goretex inner jacket that can be worn separately if required. Of course, the 4Air is intended mostly for travelling in hotter weather, but with the appropriate base layers, it could be worn at any time. It’s a super lightweight outfit that is without peer in the comfort stakes. It is exclusive to Motolegends. We wouldn’t usually recommend leather as the starting point for a touring suit. Leather has no thermal properties. It is uncomfortable when it’s hot, and soaks the rain like a sponge when it’s wet. 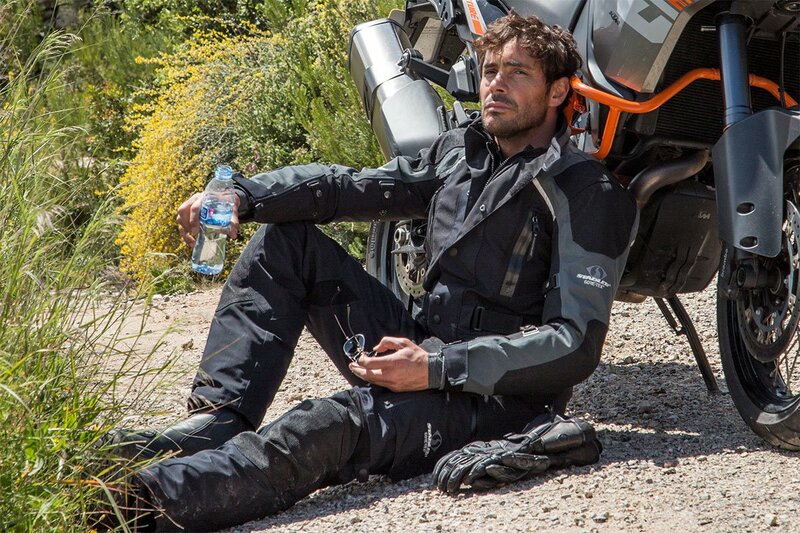 But the Tourance suit has a waterproof membrane laminated to the inside of the material, so it brings new levels of waterproofing to the world of leather motorcycling suits. With its waterproof zips, the Tourance is also one of the most vented leather suits we’ve come across, The leather is gorgeously soft. Furygan is a highly regarded maker of motorcycle clothing, although perhaps better known for its leather apparel. The Titan Evo and Duke pant make for a more sporty touring suit at a very competitive price point. The material is a high tenacity polyester. There’s a fixed waterproof membrane, a removeable thermal liner and good venting. The Furygan outfit also comes with D30 armour throughout. At a price that is a shade under £500, this is a suit that delivers great performance as well as great value. It’s got everything you’ll ever need or want. And if you ride something a bit sporty, nothing else will look as good.